Resin Female Swimming Figure Award. Antique gold with silver highlights, mounted on a black base. This great award measures 165mm high. 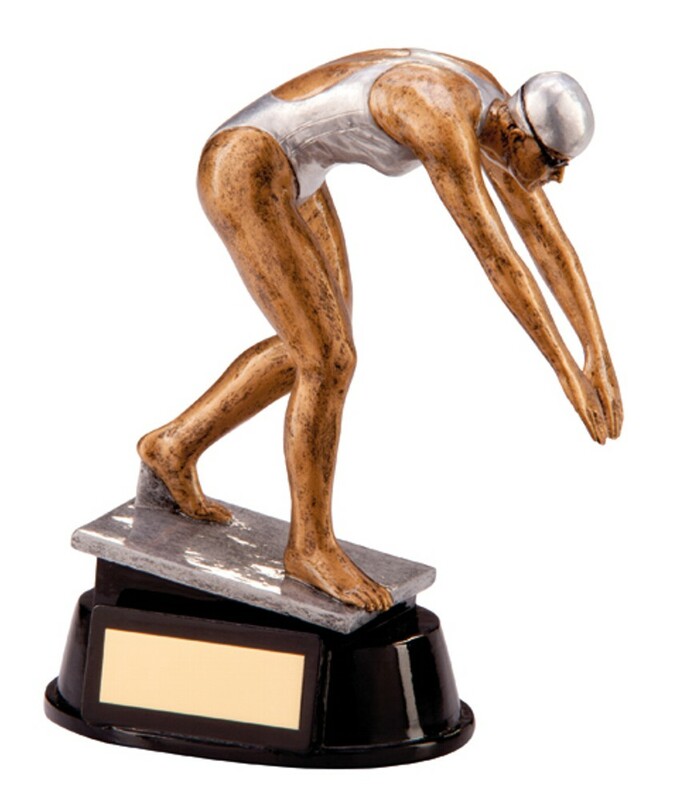 Perfectly crafted and well designed female swimming trophies.